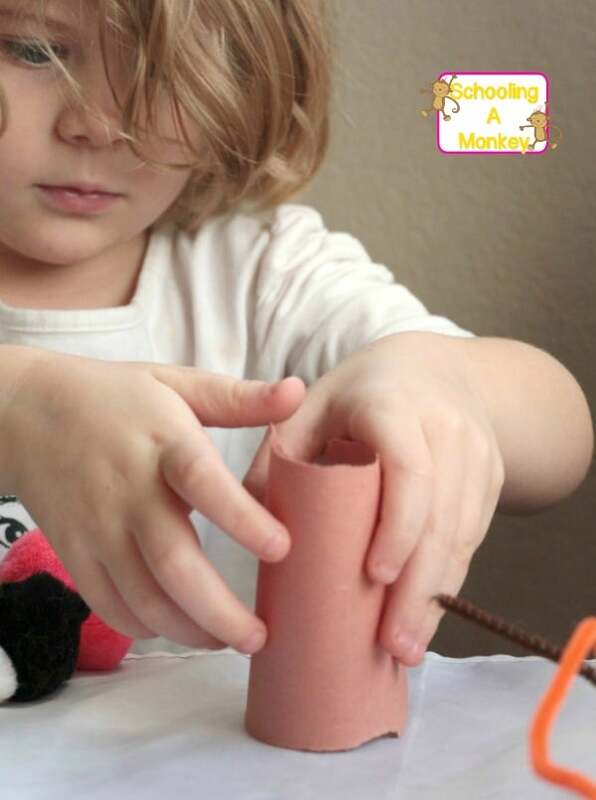 Looking for Christmas ideas for preschoolers? 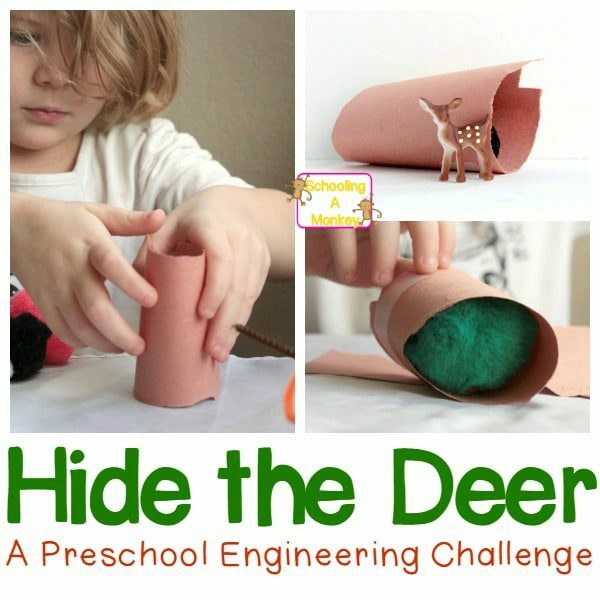 This fun STEM activity challenge preschoolers to come up with a hiding spot for a deer and works well as a basic engineering activity for kids in the preschool group. My kids love Christmas and can’t wait for the big day. But we can’t put a halt on learning just because a holiday is just around the corner. 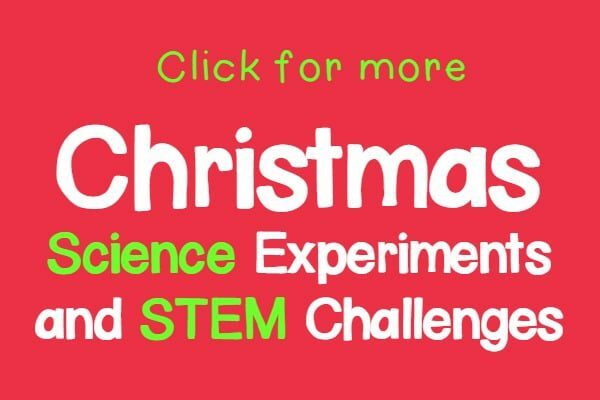 During the holiday season, I like to try and make our school challenges a bit more fun. That is how the idea for this activity was born! 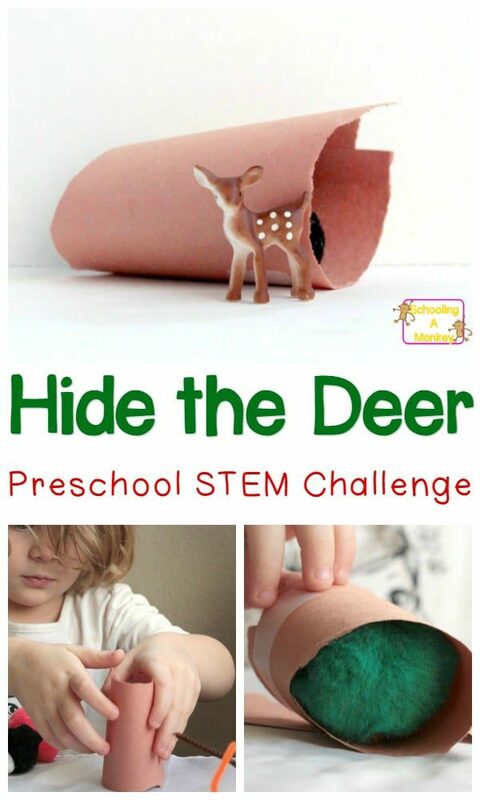 In this preschool Christmas STEM challenge, kids learn about camouflage and how deer use their markings to blend in the nature around them. 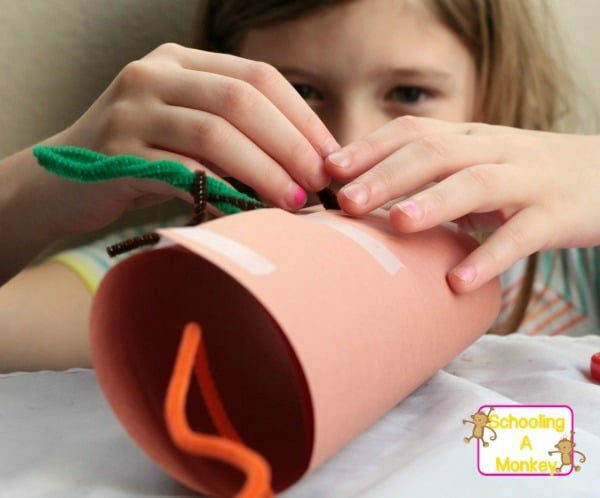 Lay out a bunch of recyled materials for the kids to use to create their hiding spots. Before allowing the kids to start, discuss how deer hide, why they hide, and how their markings help them blend in. Kids may also want to discuss other attributes of deer, such as how they can run fast to escape prey. Remind the kids that fawns are typically the most vernerable, which is why they are born with spots to help them blend into the forest even more. 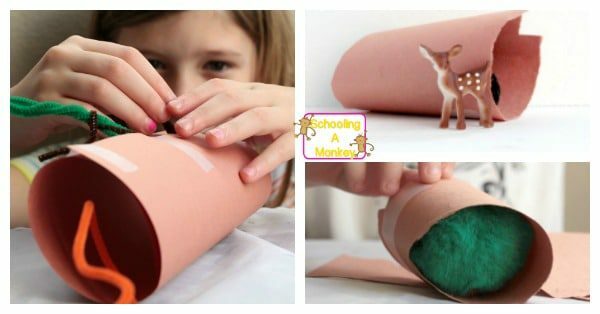 Let the kids design their own hiding spot for their deer. Even though this was Bo’s project, Monkey also wanted to make a hiding spot for a deer. She made a hiding spot that looked like a log. Bo mainly just stuffed the deer inside a paper tube with a pom pom, but I think the lesson stuck. 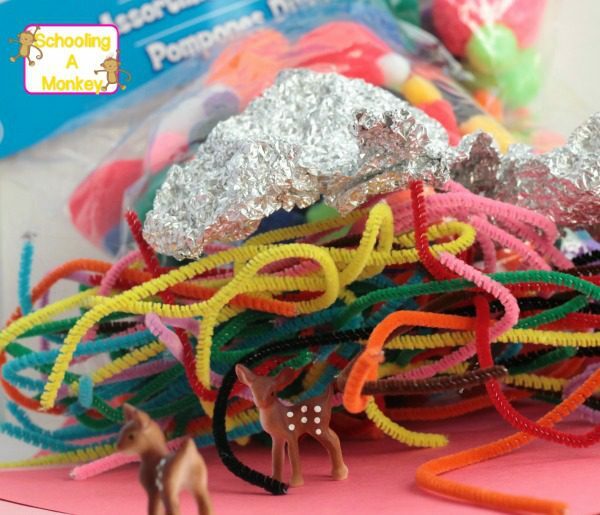 This was the perfect low-mess STEM activity to learn more about deer and camouflage just in time for Christmas!